A 19-year-old Afghan citizen had a “terrorist motive” for allegedly stabbing two Americans at the main train station in Amsterdam, city authorities in the Dutch capital said Saturday. 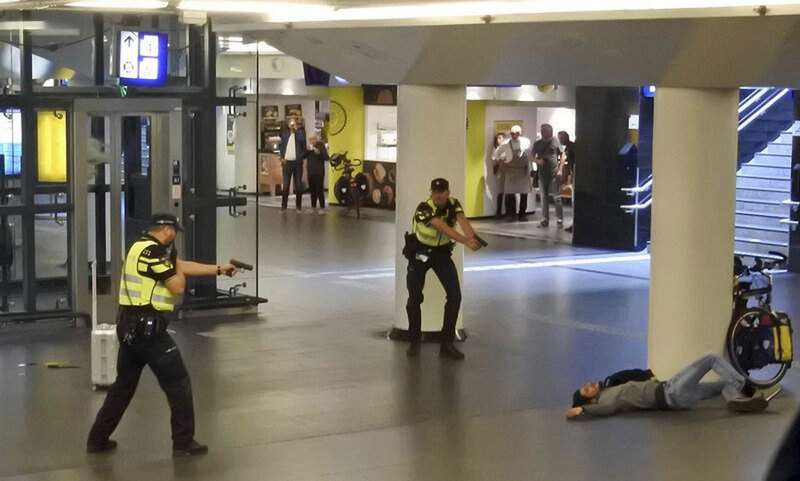 Amsterdam police shot and wounded the suspect after the double stabbing Friday at Central Station. The local government said hours later that it appeared the victims weren’t targeted for a specific reason, but added that investigators were not excluding any possibilities. After the U.S. ambassador to the Netherlands on Saturday identified the people injured as American tourists, Amsterdam City Hall gave an update. The wounded Americans were recovering in a hospital from what police termed serious but not life-threatening injuries. Their identities have not been released. The suspect, who was identified only as Jawed S. in line with privacy rules in the Netherlands, also remains hospitalized. Dutch Prime Minister Mark Rutte confirmed on Twitter that the investigation was focused Saturday on extremist ideology.